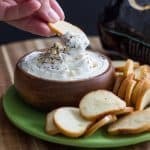 Everything Bagel Dip with Homemade Bagel Seasoning! 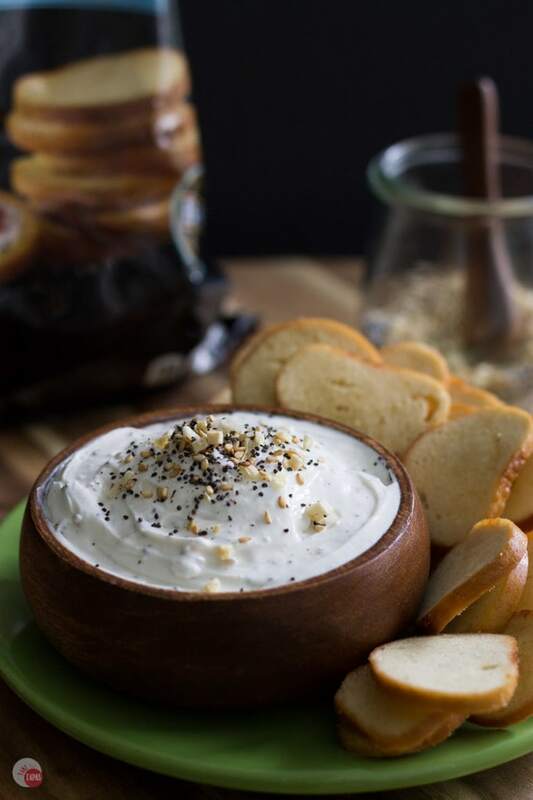 Your favorite Everything Bagel and “shmear” are now an Everything Bagel dip! 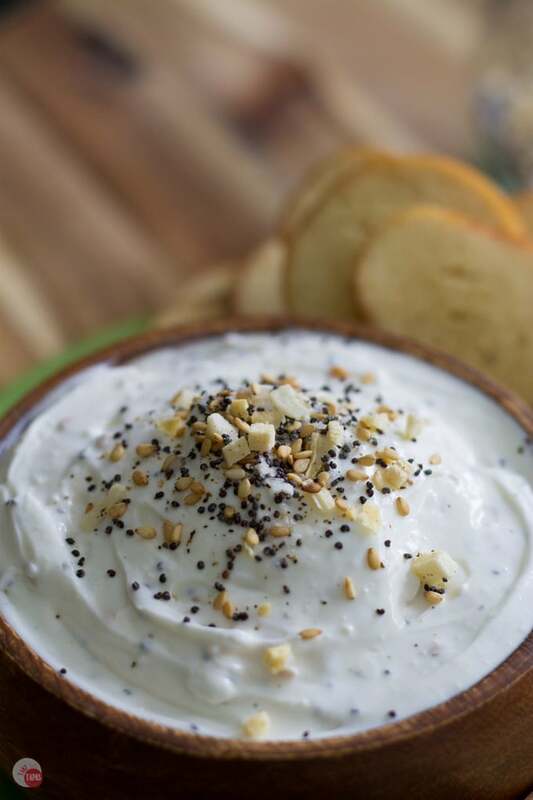 Cream cheese and sour cream combine with Everything Bagel Seasoning to bring it all together! Serve with bagel chips for the complete experience! Where did the idea for Everything Bagel Dip come from? When I started thinking about a new dip to make, I went to my Facebook Page and asked everyone which they prefer, sweet or savory? Most people said they liked sweet dips but struggle to find a new savory dip that wasn’t the same ground beef, cheese, and Rotel in a crock pot. Or crab and artichoke. Not that there is anything wrong with those. I love making my Crock Pot Corn Dip and my Frito Pie Dip. I have been known to gorge myself on them and end up scraping the crock pot clean with the last tortilla chip at the party. But every now and then we want to bring something new. While scrolling through Pinterest last week, I saw that someone was making homemade Everything Bagels. I love them but would never dream of making them at home. WAY TOO MUCH WORK. Yes, homemade is best, from scratch, blah blah blah, but when you have tasted an authentic New York Jewish Bakery Bagel, nothing else can live up to it. I’m not prepared for that kind of disappointment in my life right now. The best part of eating a bagel? That’s easy. The shmear. Shmearing shmear on a warm toasted Everything Bagel is close to Nirvana. Then you taste it. And it IS Nirvana. The toasty edges, slightly charred, the creamy shmear (preferably chive) slowly melting on the surface so it is slick and warm but still cool on the top, and the crunch of the salt grains all mixing in your mouth at once. Sensory overload. You sit and enjoy that first bite. Then you slowly devour it all and lick your fingers, pressing them to the plate or wax paper, to get up every last salt grain, poppy seed, garlic granule, and sesame seed hoping to prolong the experience. 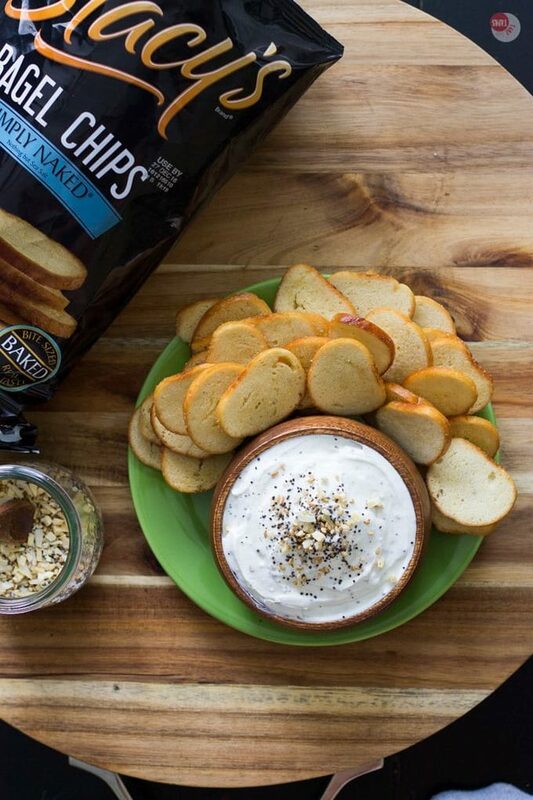 The Everything Bagel dip is born. 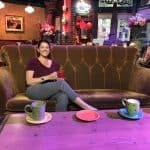 How can I have the same experience at home? I thought about what is in the bagel and shmear. Cream cheese definitely. Maybe a little sour cream. Onion powder for the onion flavor without the actual onion. Some of those addicting seasonings mixed it! The Everything Bagel Dip is born! Check out the recipe below! 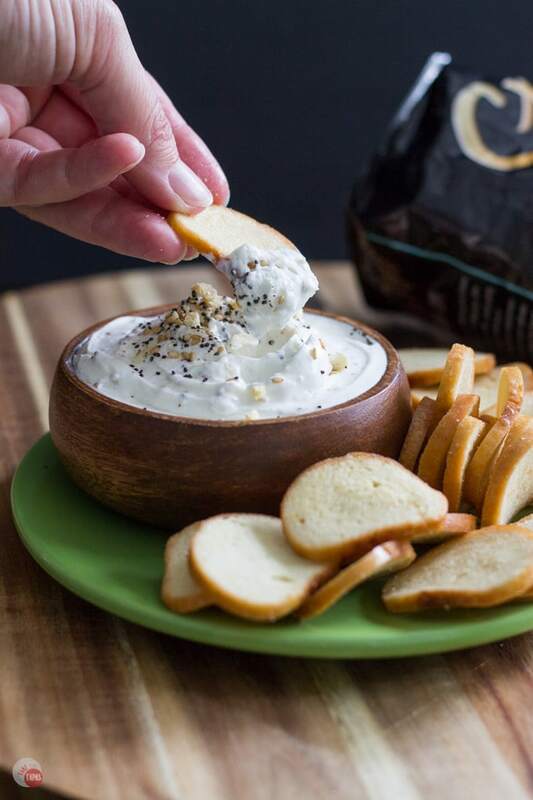 What is your favorite savory dip because it going to be this Everything Bagel Dip? Mix cream cheese and sour cream until blended. Add Everything Bagel Seasoning and stir to combine. 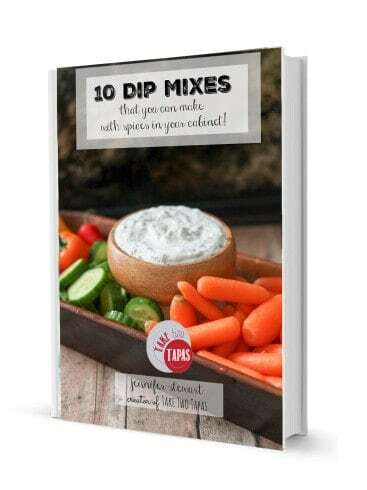 Make your own dip with my eBook of dip recipes. Click on the picture to get it now! « Everything Bagel Seasoning – Better than Store Bought! This is amazing! Everything bagel is my favorite. Where can you buy bagel seasonings? Looks so good. Thanks for sharing at the #InspirationSpotlight party. Shared. My mouth was watering just reading through the title of your post. I love an everything bagel, and turning it into a dip is just GENIUS with seasoning mix! Thanks for sharing it with us on #shinebloghop today! I LOVE everything bagels! What a great snack! I cannot make this fast enough!! I think it’s just completely brilliant!! I printed it to make for our next watch party! Thanks for the outstanding recipe! I hope you get addicted like me! What a great idea!! I’ll have to do this at my next get together! Thanks for sharing on the What’s for Dinner link up! Everything bagel seasonings is so darn good and a perfect match with a creamy base. Gotta try this one! This is just ALL KINDS OF AMAZING!!! I agree – the best par of the bagel is the Schmear AND that everything spice on the toasty warm bagel! So much so I wish I had a bagel NOW so I can just put it on top of this dip and eat it! 😀 hahaha! I can smear the dip on everything! I might add it to a sandwich next! I made my own everything bagel spice blend and i love it on EVERYTHING. Must try it in dip form now, thanks for the great recipe! Me too! I love something I can just throw together! YUM! This sounds addictingly good! I will definitely have to give this a try! Count me in on this one! I LOVE everything bagels! This is definitely up my alley! I will be the one scraping the bowl for sure! Sounds amazing and a must try! Thank you! I wiped the bowl clean with my finger! I need to whip up a batch of this asap as the kick off the UofM game / Penn State has just began. Plain carrot sticks is not quite cutting it… Sharing! Carrot sticks are for the birds. Splurge on the bagel chips today! I would watch football is this dip was involved! I don’t know what it is about the combination of bagels + cream cheese, but I’m all about it! It is a combination not to be messed with! This sounds absolutely amazing to me! I’m always looking for a new dip and this one is a keeper! Love this Jen! You have such a knack for dips .. I am always amazed! Shared!